If you like peaceful beach living, white sands, and multi-hued blue seas, then you might want to check out Nicaragua’s Corn Islands. Reminiscent of Belize’s Ambergris Caye or Honduras’ Bay Island of Roatan from decades ago, this is a spot for pioneering castaways. You won’t find mega-resorts, time-share condos, or a wide variety of upscale restaurants. What you will find is a very authentic Caribbean island experience. And for certain folks that’s a good thing. These two little dots of palm-fringed paradise are located less than 50 miles off Nicaragua’s Caribbean coast. The Corn Islands offer a healthy reef for scuba diving, snorkeling, fishing, and lobstering, friendly locals who speak English as their official language, very few tourists, and even fewer expats. 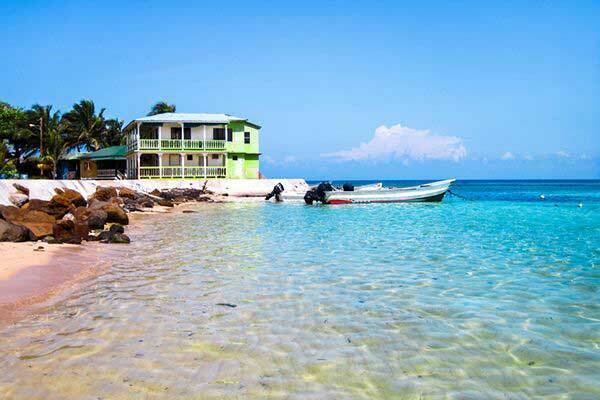 Big Corn Island is about four-square miles in size and has an estimated 6,200 inhabitants. Fewer than 10 miles of blue Caribbean separate Big Corn from Little Corn, which is about a quarter the size of Big Corn in both land mass and population. But the Corn Islands are much more than a beautiful laidback paradise. They have a colorful and varied history dating back to Nicaragua’s pirate days. How they came to be called the “Corn Islands” is a mystery. Some say pirates and British buccaneers, who came here to restock supplies during the 17th and 18th centuries, misspelled the Spanish word for meat, “carne.” Others say they’re named for the corn found growing here. According to the 400-year-old tome The Buccaneers of America, Dutch pirate Alexander Olivier Esquemeling claims to be one of the first to “discover” Big and Little Corn Island. The islands were initially occupied by the Kutra Indians, the native tribe that warrior Miskito Indians wiped out through war and slave-trading to the colonists along the coast. 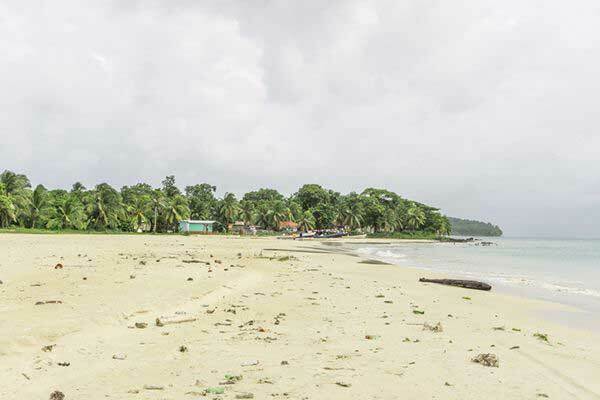 The next wave of Corn Island settlement began around the year 1700 by the British bringing their slaves from Jamaica. In 1841, Col. Alexander McDonald, superintendent of what was then British Honduras (known as Belize today), landed his warship on Big Corn. He rounded up all of the slave owners and proclaimed that all of the slaves on the islands were thereby free men. A celebration was had, but two days later it was noted that the news hadn’t been relayed to Little Corn. Therefore, the two islands celebrate this historic anniversary two days apart from each other. Lobstering is the main local industry, including for export, but if you crave eating lobster one expat who lives on Big Corn told IL, “We eat lobster with eggs for breakfast, we have lobster with pasta, with rice, with fruit… We experiment with lobster in just about every dish you can imagine.” You won’t break the bank on your food budget either. You’ll be hard pressed to pay more than $10 for a delicious lobster meal on the islands, as most restaurants offer the signature dish in one or more varieties. For a break from lobster, no trip to these islands would be complete without trying the ‘Rundown.’ It’s basically an island stew consisting of multiple types of seafood (generally lobster, shrimp, fish, taro, yucca, and plantain) cooked in coconut milk. Some places will require you to order it 24 hours in advance, which is a good idea anyway as this allows the establishment to get fresh fish. If you desire non-seafood fare the choices are somewhat limited, but there is a terrific Italian restaurant on Big Corn that puts out fantastic pizzas cooked over a wood fire grill. Finally, find a bakery and make sure to try the coconut bread, another island favorite. Lodging options range from very simple beach shacks for under $20 per night to the one small luxury resort found on Little Corn, which will run $250 per night for a bungalow with a private plunge pool. In between, you’re sure to find something for most tastes and budgets. Coffee shops and internet cafés are rare and internet service won’t be what you are used to at home. No problem, just unplug and lay in the hammock instead of staring at your device for a few days. While there is a road system that circumnavigates Big Corn with taxis cheap and readily available, there are no roads (or vehicles) on Little Corn, just a three-foot-wide sandy walkway from which to explore the island by foot or bicycle. As you can imagine, activities on the islands are very aqua-centric. 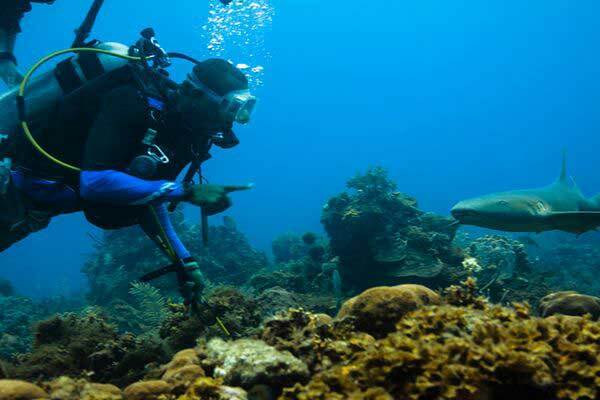 Thanks to the surrounding coral reefs, diving and snorkeling are very popular, with barracudas, nurse sharks, hammerhead sharks, green sea turtles, spotted eagle rays, and the myriad of colorful smaller fishes among the marine life that can be seen around the islands. Sport fishing is available using conventional tackle for offshore or inshore, and fly fishing available for inshore. Those heading offshore may encounter sailfish, kingfish, yellowtail, mahi mahi (dorado), amberjack, snapper, and more. Inshore target species include bonefish, tarpon, and permit. Other ways to spend time on the water are stand-up paddle boarding and kayaking. No matter how you exert yourself, you won’t need to look too far to find a yoga session or massage to unwind afterward. Finally, for a less participatory but extremely memorable experience, take in a baseball game—it’s the national sports pastime of Nicaragua, and very popular in the Corn Islands. To get to the Corn Islands, you can fly directly to Big Corn from Managua. Expect to pay about $180 for a round-trip ticket. To get between Big and Little Corn, take the 30-minute local water taxi for roughly $6 per person each way. The water taxi makes the run once or twice per day. For the truly intrepid traveler looking to add a new and exciting story to tell, a new road opened in 2018 connecting Managua with Bluefields on the Caribbean coast, with a daily “chicken bus” service. 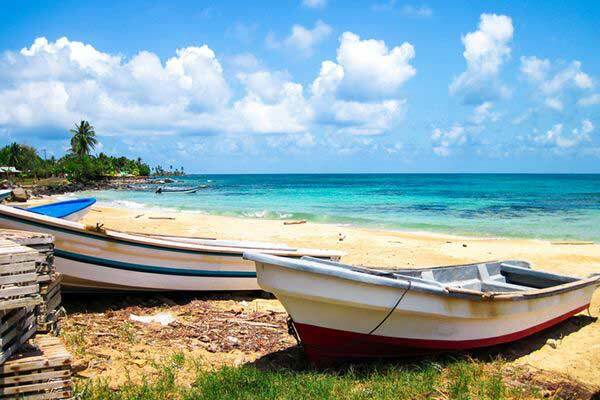 To get from Bluefields to Big Corn Island, hop a transport boat and ride along with supplies and livestock. Seriously, it’s an option…but flying is the recommended way to go for the vast majority of visitors. In recent years, the airport on Big Corn has been improved with a longer runway and updated terminal. Another major project on Big Corn was the construction of a hospital that opened in 2017, which is able to address routine health needs and minor accidents. Little Corn has only a simple clinic. Health issues requiring much more than the basics would necessitate traveling back to Managua’s very modern hospitals for treatment. Will these upgrades bring more visitors and possibly expats to the area? Possibly, although these islands aren’t for everyone due to their developing nature and not being fully mature destinations. Supplies on the islands must be imported by sea or air if they aren’t locally grown or caught from the surrounding waters, making them more expensive than on the mainland. If you are an adventuresome soul and the pioneering sort, the best advice is to go sooner rather than later and see for yourself. Actually, that’s a pretty good way to look at life in general. None of us are promised tomorrow, so why wait for “someday,” right?